"Love and family closeness and respect can never be outdone by anything else. It's the lynchpin....holds everything together." Early morning, on November 4, 2016, Muriel Kiester Martin made her final ascent. Imagine her soaring, happy, and free, looking down upon her beloved family. Born in La Feria, Texas on February 24, 1922, she was 94 years old, and had lived a full and purposeful life. Her parents, Carl and Bertha Kiester, were among the early settlers of La Feria and pioneers in the citrus business. Muriel grew up with her older sister “Dee” and younger brother David. Muriel was an enthusiastic equestrian and horse lover all her life. She explored the valley on her first horse, Morocco, and passed on her enthusiasm and skills to friends and family for as long as she was able. It was in pursuit of a riding school, that she introduced her family to San Miguel de Allende in the early sixties. Later, she even managed to enlist the Mexican cavalry, in Reynosa, to teach riding to her children and some of their friends. 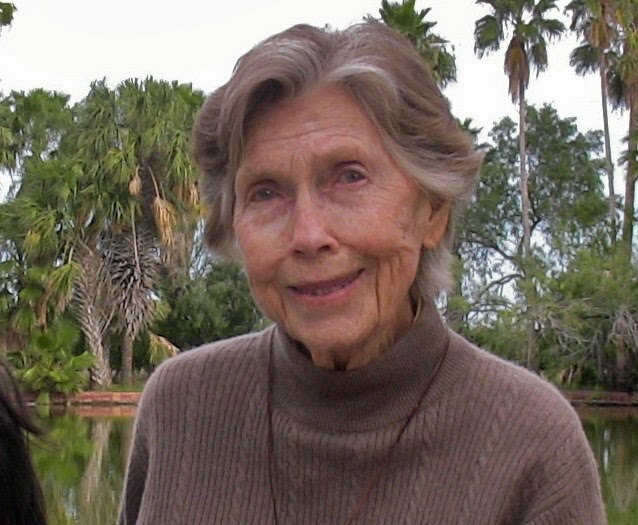 For many years, Muriel ran and maintained the citrus groves her father had started. She was an accomplished nursery woman, and took pride in every single orange and grapefruit in her orchards. She always added a few sprigs of bougainvillea and fresh rosemary to each box of gift fruit that she would personally pack. Muriel was not one to sit down and take it easy, and always had a project going. As a youngster, she carved delicate little 3 dimensional wooden horses. Later in life, she took up chip carving, a German style of pattern carving. Her family and many of her friends have intricately carved wooden chests that Muriel loving made for them. But her main project was the beautiful environment she created around her home. Though she enjoyed adventures to Mexico, Muriel was a homebody. That was her soul place. She was interested in every palm tree, hibiscus, rose bush and bougainvillea on the property. She kept the lake in front of the house clear and fresh. And she loved sharing it. For many years she ran a summer camp for young children- Camp Thunderbird. Kids had a blast learning to swim, ride, make all sorts of cool crafts, and participate in other camp activities. Camp Thunderbird was a source of great pride to Muriel, and many kids around the valley benefitted from her leadership and guidance. Muriel was a patriot. When Pearl Harbor was attacked, she was compelled to respond. 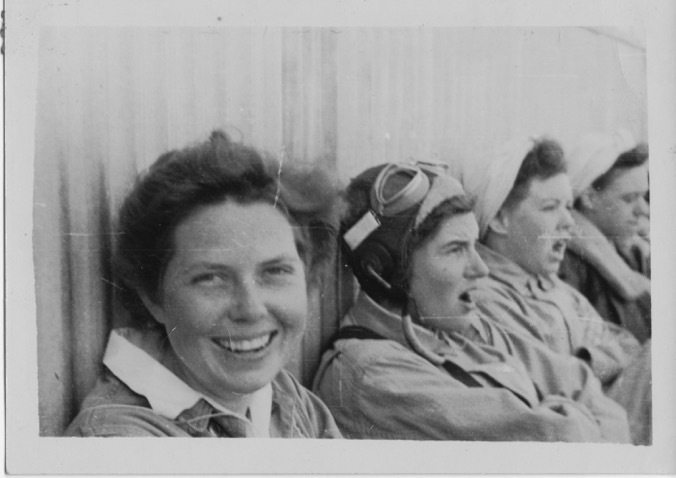 She learned about the newly created Women AirForce Service Pilots (WASP). The next year, while a junior at the University of Texas, she rode her bike out to the airport to take flying lessons so she could apply to enter WASP training. 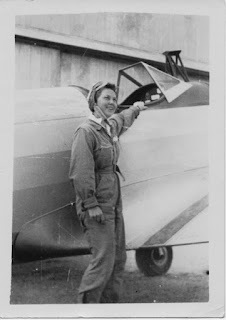 Muriel entered the Army Air Forces flight-training program at Avenger Field in Sweetwater in December 1943. She was one of 1,830 who were accepted into the program, out of 25,000 who applied. It was a grueling program. 1,074 earned their wings. 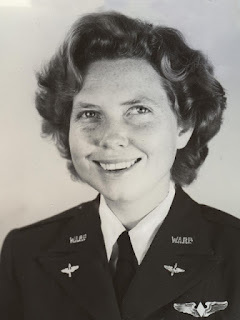 After graduation, she was stationed at Eagle Pass Army Air Base, an advanced gunnery school, where she flew AT-6 tow target missions for ground and aerial gunnery practice, training aviation cadets for combat, until the WASP program was deactivated. In 2009, the WASPs were awarded the Congressional Gold Medal. Muriel accepted the award in Washington DC, surrounded by her proud family and lifelong friends. While in the service, Muriel met Archie, an Army Air Force Flight Surgeon from Virginia. They married in 1944 and settled in La Feria, where they raised a family. They shared a love for flying, sailing and their four children. Archie pursued his career as a radiologist in Harlingen. They were devoted patents, engaged in providing every opportunity possible for their children. Known as “Kies” by her grandchildren and great grandchildren, she was a fun, active, involved grandmother. She often impressed them with her ping-pong, riding, tennis, archery, and canoeing skills. And, of course, they all loved her famous pancakes, crackerjack and homemade chocolate sauce. Muriel is survived by her four children: Anne, Bunnie, Ginny and Graham; her grandchildren, Martin, David, Charlotte, Archie, Carl, Beaman and Bella; and her great-grandchildren, Alston, Watson, Garrett and Tucker. Muriel was a unique individual; very strong but equally gentle. Never did any of us doubt that she loved us with all her heart. And we loved her back. She enriched the lives of many people throughout her life. We can't imagine a better mother, grandmother, woman, and role model. A special appreciation is extended to her sister in law and friend, Judy Kiester, and her caregivers Graciela and Jose Castillo. Posted as written from the family of Murial Martin. Quote from the Wings Across America interview. Wings Across America spent an unforgettable day with Murial on her beautiful oasis in the middle of south Texas, just about 10 miles from the border with Mexico. Soft spoken, gentle, and filled with a quiet joy, she was delightful. Ask her about her family, her horses, the ranch or flying, and the sparkle in her eyes would grow brighter and brighter. I can still remember her kindness and her warm, easy laugh. Lovely, remarkable lady. Our prayers for her family and for all of those who were touched by this remarkable, fiercly loving spirit. Our hearts are grateful for having known her. God bless you all.